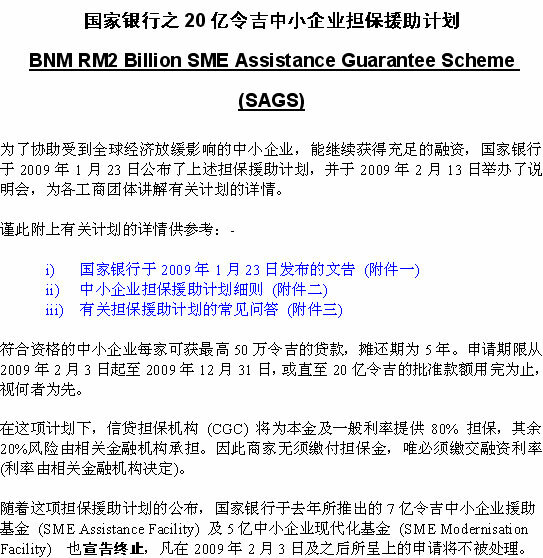 In order to assist SME to pull through the global economy crisis and continue to receive adequate financing, BNM to make public of the above-mentioned assistance programs in January 23, 2009 and hold a function for all industrial and trade associations to explain the details of the plan in February 13, 2009. 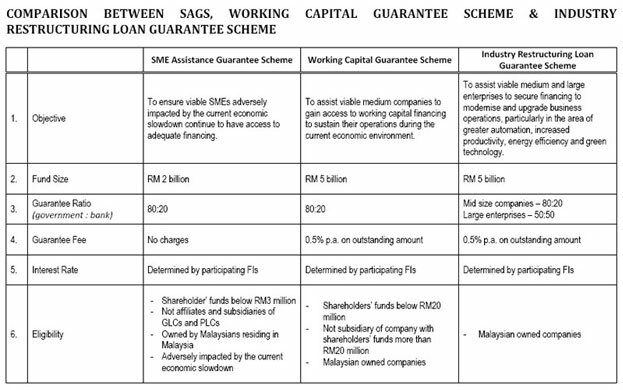 Eligible small and medium-sized enterprise will receive a maximum of RM 500,000 loans, repayable period of 5 years. 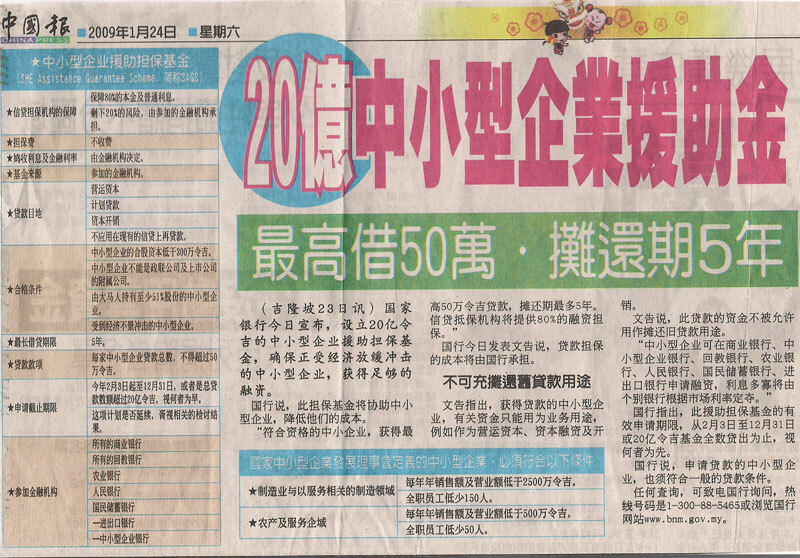 Application period start from February 3, 2009 until December 31, 2009 or the approval of 20 billion amounts is fully capitalized. CGC will guarantee 80 percent of the principal and interest and the remaining 20% of the risk borne by the relevant financial institutions. SMEs are not required to pay a guarantee fees but applicants are required to pay the interest rate (the interest rate decided by the relevant financial institutions). 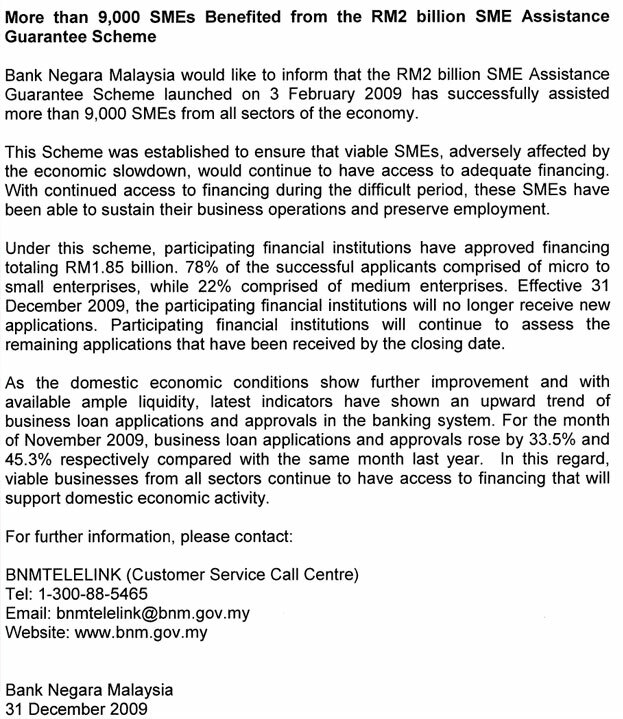 With the publication of the SME Assistance Guarantee Scheme, the RM 700 million SME Assistance Facility and RM 500 million SME Modernization Facility which launched last year has come to an end where application submit in February and March of 2009 will not be processed.